One of the world’s largest palm oil companies, Golden Agri-Resources (GAR), has published a 4-year plan to trace its entire supply to the growers’ plantations. Earlier this year, GAR mapped its entire supply chain to 489 individual mills, and plans to build on that progress by achieving 100 percent traceability to plantation for all of the palm oil purchased and processed by the company by 2020. GAR’s time-bound plan has two phases. First, by the end of 2017, the company aims to establish traceability to plantation for the 44 mills owned directly by GAR. 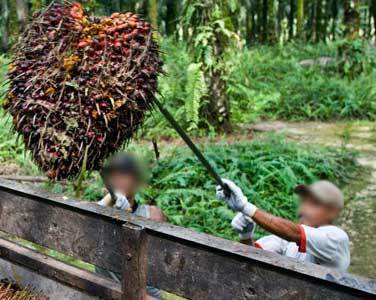 This will account for approximately 40 percent of the company’s total palm oil supply. 90 percent of the fresh fruit bunch (FFB) purchased by those mills already comes from known sources such as GAR’s own estates and “plasma smallholders,” or smallholders who have an exclusive supply agreement with a specific mill. The remaining 10 percent of the FFB supply to GAR mills will need to be traced back to independent traders and smallholders. By the end of 2020, GAR aims to achieve traceability to plantation for the third-party mills in its supply chain. This phase will run concurrently with the first phase; the company is beginning the entire process with a pilot program which will involve a GAR-owned mill and an independent mill. GAR plans to trace smallholders directly and via intermediaries through chain of custody documentation and verification, and use what they learn to replicate the process to the other mills in its supply chain. “We led the way in committing to de link palm oil production from deforestation in 2011 and hope that we can now set a new example of how to improve engagement, productivity and sustainability across the industry,” said Agus Purnomo, the Managing Director for Sustainability and Strategic Stakeholder Engagement at GAR. The company also hopes to use the opportunity to engage more closely with its suppliers to identify which need more support in strengthening their social and environmental practices. “We are aware that this will be a challenging endeavour, but as a business, we recognize the long-term benefits that this mapping exercise will bring. We will be meeting customer demands for a traceable product and at the same time we will be playing our part in making our industry more sustainable by knowing and reaching out to individual farmers who may need support to adopt better practices,” said Hendrikus H. Nauli, Director of PT Sugih Riesta Jaya, one of GAR’s third party suppliers. Palm oil is the most widely used vegetable oil in the world, in food, cosmetics, and other products. Half of the global supply is produced in Indonesia, which has experienced devastating fires as a result of illegal burning to clear land for its cultivation. A recent report from Eyes on the Forest, a coalition of environmental non-governmental organizations (NGOs), found that almost all mills in the Riau area of Sumatra, Indonesia, were “at risk” of receiving illegally grown FFB. The NGOs urged brands to trace all of their supplies to the plantation level.